GCI has been manufacturing folders for many years! Whether it’s a one color standard school folder or a high end portfolio to display your companies marketing materials, GCI has you covered! If you need custom folding cartons for pens, pencils, ink cartridges, file folders, desktop calendars or just about any other office and school type of product, then you're in the right place. Your job will get dedicated care and attention from everyone here at GCI. Our goal is to develop a partnership with each customer that's based on communication, responsiveness and trust. 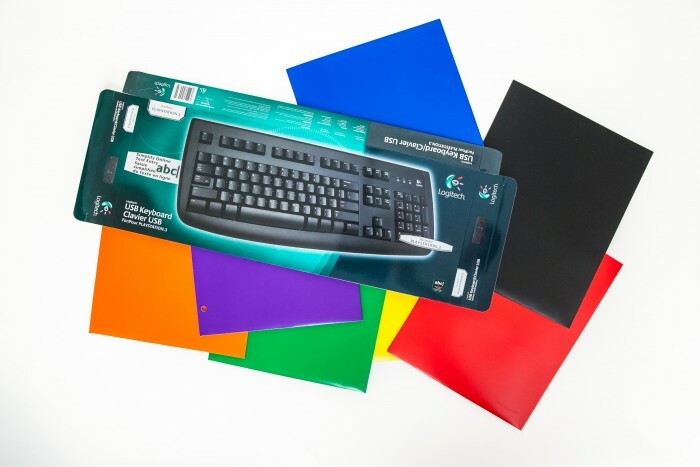 When it comes to office and school product packaging, we know that it's important to our customers that the folders and office supply packaging is economical and we can provide a variety of options to suit your budget. We have a wide selection of in-stock material available on an ongoing basis. A timely and firm delivery date is a frequent priority for our customers, and you'll get it at GCI. Folding cartons for office and school type products need to be sturdy enough to offer the required protection for the product during transportation and storage, while projecting a clean and professional look to the consumer. We can custom manufacture packaging that has these and the other characteristics that you need, with surfaces that are optimized to display your graphics.